Nice Articles. I have a problem with my PVS 7.1 in that certain machines are getting a duplicate Default Gateway once connected to the PVS Server. We have 2 NIC’s and one is dedicated to PVS. This NIC is not supposed to have a default gateway as it messes up the routing table since it is in a different VLAN. VDusk is usually fine with 2 IP addresses if I disable the device in PVS but once enabled the second default gateway comes back. Already checked the DHCP scope options and there is no default gateway for the second NIC. This seems to be a known issue addressed in one of the latest hotfixes for PVS 6.1: http://support.citrix.com/article/CTX141654. Since this hotfix chronologically came out after 7.1, chances are the same bug may occur in 7.1 as well. 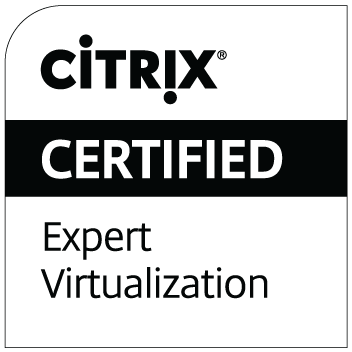 I recommend that you contact Citrix Technical Support and reference defect # LC0688 – they may package the fix in the 7.1/7.6 code and provide you with a private binary or they may determine that it’s a different issue altogether. I hope this helps!